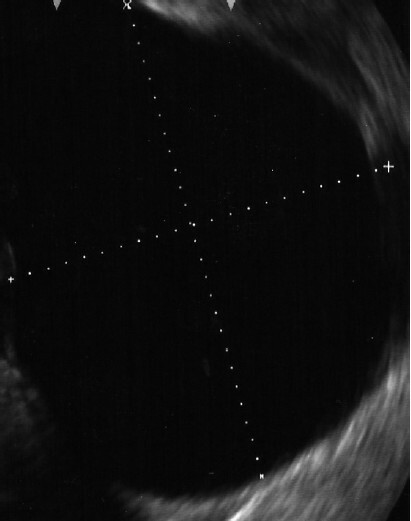 Since the introduction of endoscopic ultrasonography (EUS), many centers have utilized this imaging modality for transmural pan­creatic fluid collection (PFC) drainage. The expanded use of EUS has resulted in increased safety and efficacy of endoscopic PFC drainage. The major procedural steps include EUS-guided transgastric or transduodenal fistula creation into the PFC, and stent placement or nasocystic drain deployment to decompress the collection. In this and other applications, EUS has become a major therapeutic advancement in the field of endoscopy and has figured in myriad diagnostic applications. Recent research indicates a number of situations in which EUS-guided PFC drainage is appropriate. These include unusual location of the collection, small window of entry, non-bulging collections, coagulopathy, intervening varices, or failed conventional transmural drainage. In this study, we discuss the EUS-guided technique and review current literatures. Endobronchial ultrasound (EBUS) has emerged as a routinely performed procedure in diagnostic bronchoscopy. Extending the view beyond the airway wall, EBUS provides evaluation of tumor involvement of tracheobronchial wall and mediastinum and plays an essential role as a guidance technique for peripheral pulmonary diseases. The latest development is the EBUS-transbronchial needle aspiration (TBNA) scope that allows performing real-time EBUS-TBNA of enlargerd hilar and mediastinal lymph nodes. Pancreatic cystic lesions are being detected with an increasing frequency. Endoscopic ultrasound (EUS) provides both diagnostic and therapeutic means for pancreatic cystic lesions. Detailed imaging and EUS-guided fine-needle aspiration provide additional information on pancreatic cystic lesions. EUS-guided pseudocyst drainage has advantages over conventional drainage modalities. EUS-guided cyst ablation is a promising therapeutic modality. 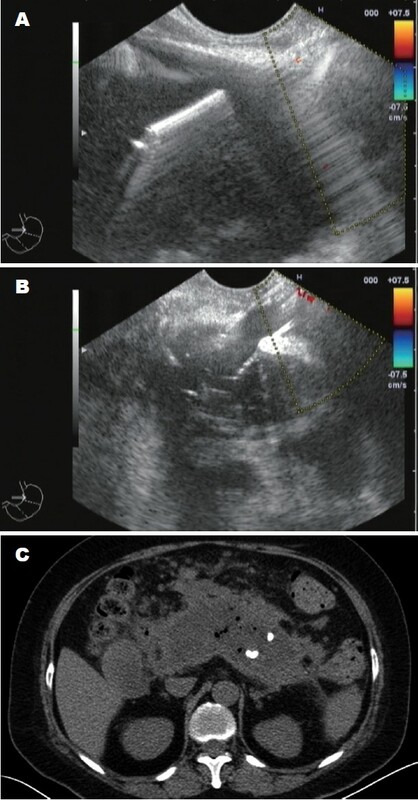 The primary goal of this study was to develop descriptive image interpretation criteria and a classification of endoscopic ultra­sound-confocal microscopy (EUS-CM) findings in pancreatic masses and lymph nodes through a review of prospectively obtained EUS-CM videos from proven malignant and benign cases, and to propose diagnostic criteria for predicting malignancy. The material used was a 19-G EUS-needle in which the stylet was replaced by the confocal mini-probe. 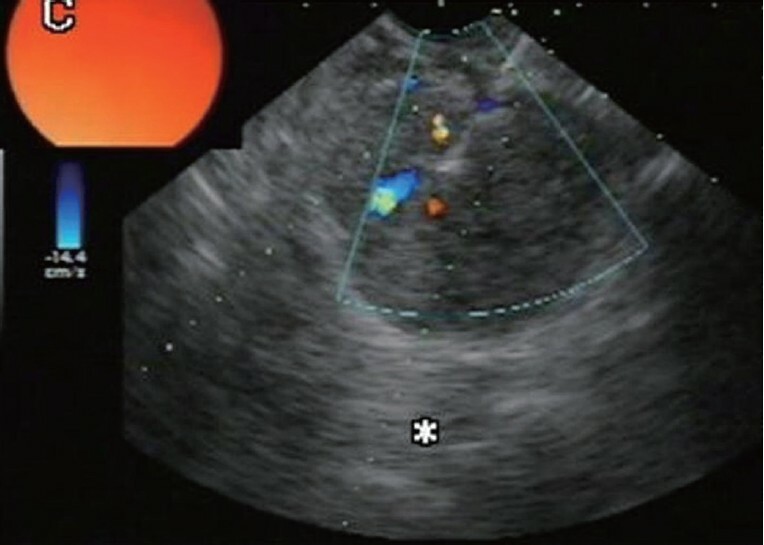 The mini-probe pre-loaded in the EUS-needle was guided endosonographically in the target then the mini-probe was pushed under EUS guidance into the lesion. Eleven patients mean age 62.3 years underwent EUS for the staging of a pancreatic mass (3 cystic and 4 solid) or for the diagnosis of celiac and/or mediastinal LN (n = 4). Benign intraductal papillary mucinous neoplasm (IPMN) was characterized by the aspect of finger-like projections which correspond to the villous changes of intestinal IPMN type. In pancreatic adenocarcinomas, EUS-CM found vascular leakage with irregular vessels with leakage of fluorescein into the tumor, large dark clumps which correspond to humps of malignant cells. Inflammatory lymph nodes were characterized by the presence of diffuse small cells into a homogeneous stroma with a normal vascularization. At the opposite, EUS-CM showed in malignant lymph node glandular structures with dark cells, large dark clumps and an important neo-vascularization with huge leakage of fluorescein. 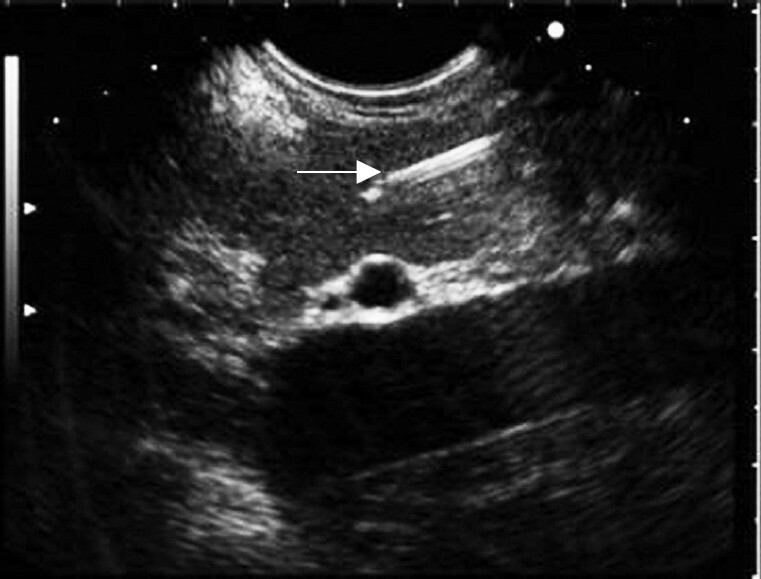 Objective: No previous studies have described endoscopic ultrasound-guided fine needle aspiration (EUS-FNA) only for intra-ampullary lesions of the papilla of Vater. We aimed to examine whether EUS-FNA can be used to diagnose such lesions. Methods: This study included a subset of 10 consecutive patients in whom EUS-FNA targeted the ampulla of Vater. All the patients underwent biopsy and/or brushing cytology under endoscopic retrograde cholangiopancreatography (ERCP) prior to EUS-FNA. The final diagnosis was based on pathological examinations of specimens obtained by surgical resection or clinical follow-up more than 1 year in case of evidence of benign lesions. Results: Tissues from the ampulla of Vater could be obtained by EUS-FNA for all 10 patients. The final diagnosis was papillitis (n = 7) and intra-ampullary carcinoma (n = 3). Carcinoma of the ampulla of Vater showed neither exposure on the duodenal mucosal surface nor invasion to the pancreas. The diagnostic accuracy of surface biopsy with duodenoscopy, and intra-ampullary biopsy and/or brush cytology with ERCP and/or intra-ampullary biopsy after endoscopic sphincterotomy (EST) in distinguishing between benign and malignancy was 70%. 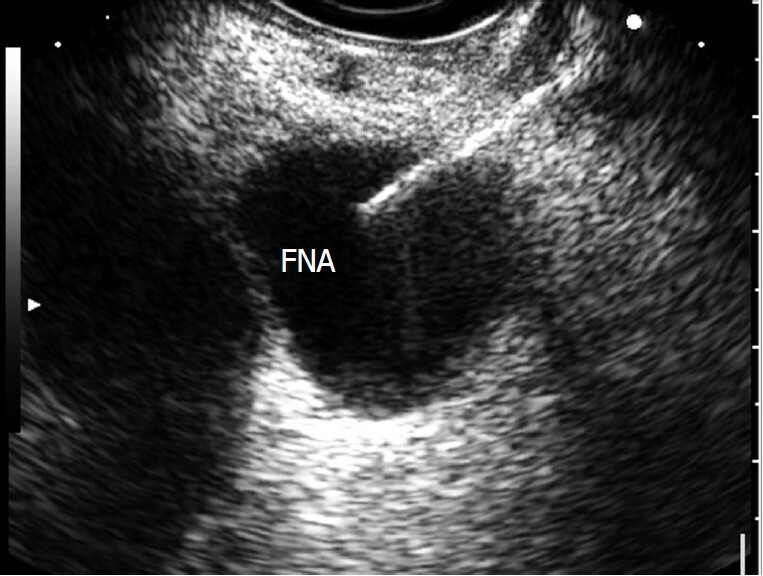 The diagnostic accuracy of EUS-FNA was 100%. No complications associated with EUS-FNA were encountered in this study. Conclusion: EUS-FNA for ampulla of Vater may be safely and accurately performed, and should be considered as a diagnostic modality before EST. Objective: Few studies have evaluated the risk of bacteremia and infectious complications after endoscopic ultrasonography-guided fine needle aspiration (EUS-FNA). Therefore, we aimed to study the frequency of bacteremia and search for a method to potentially reduce bacterial infection after EUS-FNA. We also investigated the effect of taking proton pump inhibitors (PPIs) before examination on the occurrence of bacteremia. Methods: A total of 28 healthy adult dogs were randomly assigned into three groups: control group, povidone-iodine group and omeprazole group. The dogs in the povidone-iodine group were administered with 0.5% povidone-iodine solution (10 mL) to wash gastrointestinal mucosa, while the dogs in the omeprazole group were fed with 20 mg omeprazole orally twice a day for 3 days before the EUS-FNA procedure. Blood samples were collected for cultures before EUS examination, between EUS and FNA, and 5 min, 15 min and 30 min after FNA. Results: There were 3 true-positive cases of bacteremia in the control group while there was 1 true-positive case of bacteremia in each of the two experiment groups. The differences in the occurrences of bacteremia between the control group and both experi­ment groups were not statistically significant. Conclusion: There are no statistically significant differences in the frequencies of bacteremia between the two experiment groups and the control group. Therefore, washing of the gastrointestinal mucosa with 0.5% povidone-iodine solution may not reduce the risk of bacterial infection and taking the PPIs does not increase the risk of bacteremia after EUS-FNA. Paraganglioma is a rare tumor that should be included in the differential diagnosis of retroperitoneal tumors. Endoscopic ultra­sound-guided fine needle aspiration (EUS-FNA) has emerged as an effective tool in the diagnosis of these lesions. A 37-year-old female patient with a history of microcytic anemia underwent EUS-FNA and was diagnosed with a neuroendocrine tumor by histo­pathological and immunohistochemical analysis. The tumor was surgically removed, and the final diagnosis was paraganglioma. 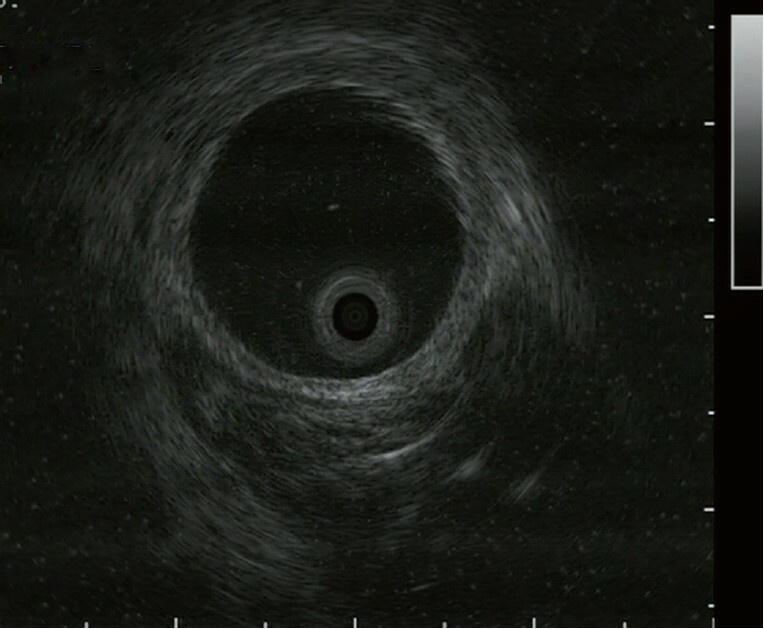 This case report emphasizes the importance of EUS in the evaluation of this type of lesion. 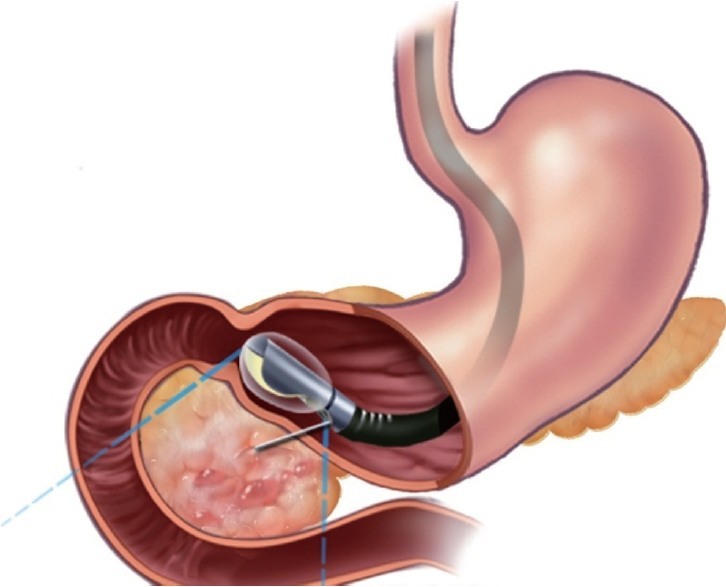 For the management of pancreatic abscess, endoscopic ultrasound (EUS)-guided puncture and drainage has become recognized as a safer and more effective alternative to surgery. Typically, a double-pigtail plastic stent is placed for drainage. When an abscess is complicated by infected necrosis, endoscopic evacuation is essential. However, endoscopic evacuation carries a high risk of hemor­rhage and needs to be performed daily to be effective. We describe EUS-guided endoscopic evacuation and placement of a fully covered metal stent following two failed evacuations. Patient recovery time was excellent, and no complications occurred. Endoscopic ultrasound (EUS) was one of the leading topics in 2012 DDW meeting and some new progresses were highlighted at the EUS monothematic symposium during the period. Although EUS-fine needle aspiration (FNA) has increased the accuracy of EUS in the diagnosis of pancreatic diseases and biliary diseases, controversies still exit in its application such as safety, cost effec­tiveness and the choice of needle. Meanwhile, EUS may also function as a therapeutic approach, and more and more digestive dis­eases could be treated with interventional EUS. This report will focus on the above aspects and some progresses of interventional EUS discussed in the meeting.